The KCW series has been out of print. We will terminate sales as soon as stock runs out. for the general lathe that uses cutting water. The replacement head enables cost reduction. 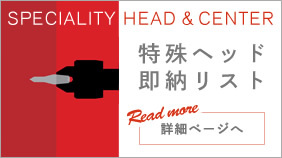 See page HEAD LIST for center head types. See page ALLOWABLE LOAD & MORSE TAPAR for revolutions per minute. 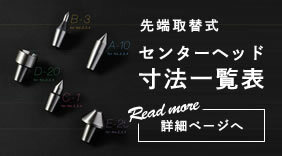 We recommend that type KS or KFL be used for the NC lathe. (KCW-5 come with the center head 5A60° and DHN-2). *Dimensions are subject to change for alteration without prior notice.